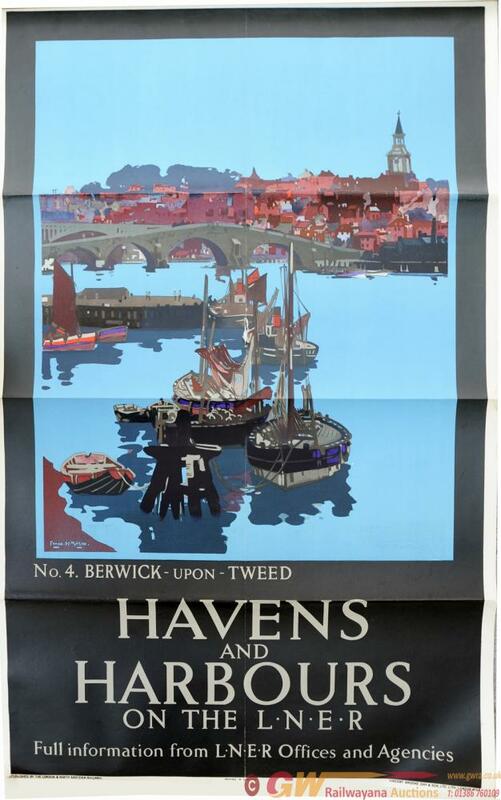 LNER Poster, Havens and Harbours on the LNER - No 4 Berwick-on-Tweed, by Frank Mason, D/R size. Night time image of sailing trawlers in the foreground, the old and new road bridges and railway viaduct beside the town in the background. Published by the LNER, printed by Vincent Brooks, Day and Son. Slight damage to centre and folds otherwise good.